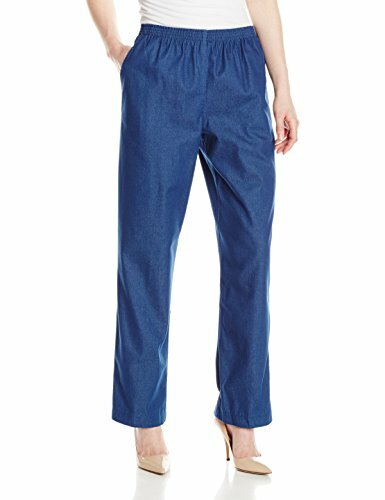 These Alfred Dunner Women's Classics Solid Pants will look great with your favorite blouse. 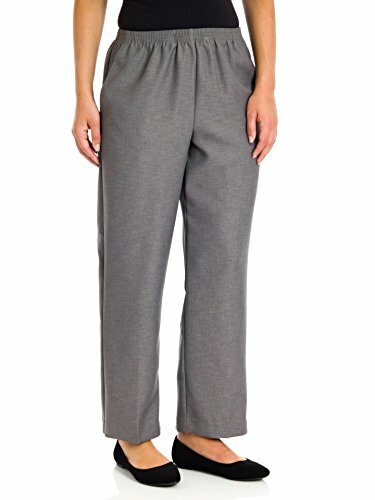 Pull-on design, Elastic waistband, Classic fit, Straight leg, 100% Polyester. 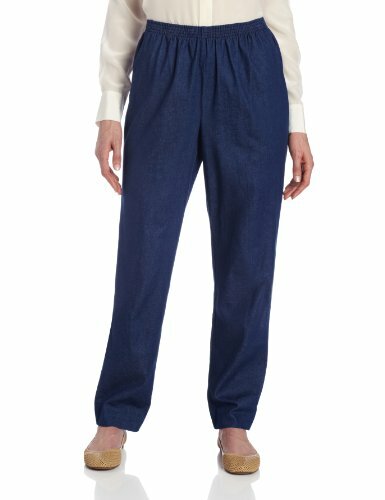 With an elastic waistband and two side-seam pockets. 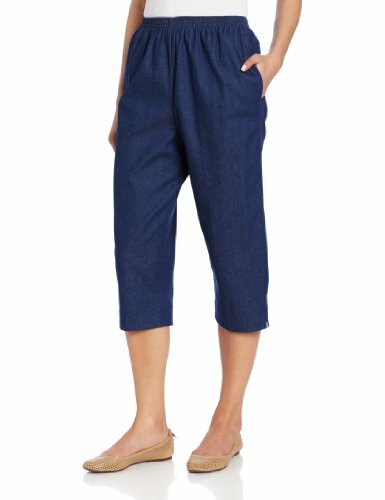 Available in short and regular inseam lengths. 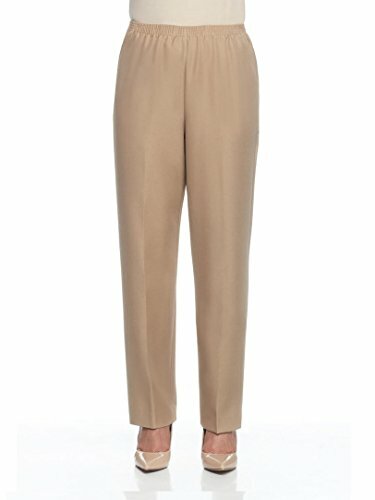 It's easy to look "put together" with classic straight-leg pants from Alfred Dunner. Just pull on, pair with almost any style top and you're off! Want a tailored look without the snug feel* No problem. 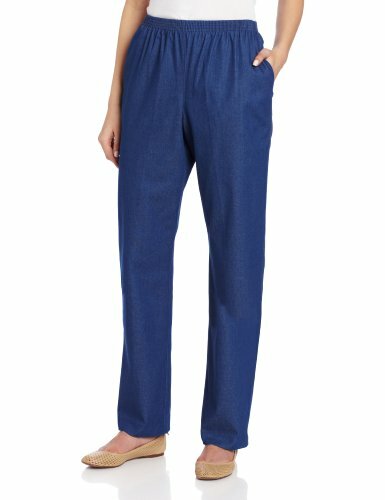 The gentle all-around elastic waist keeps them in place, yet "gives" a little when you need it for all-day comfort. 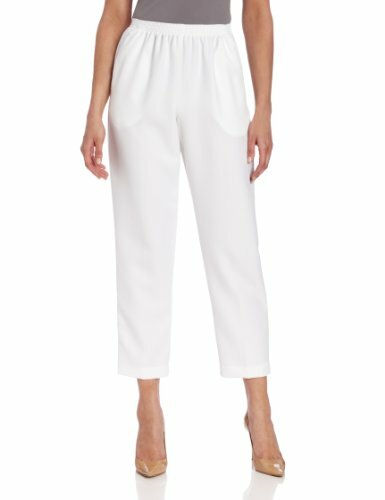 And who says classy pants can't be practical. Handy front pockets let you bring your essentials along for the ride while wrinkle-resist fabric holds its shape for many years of wash and wear. 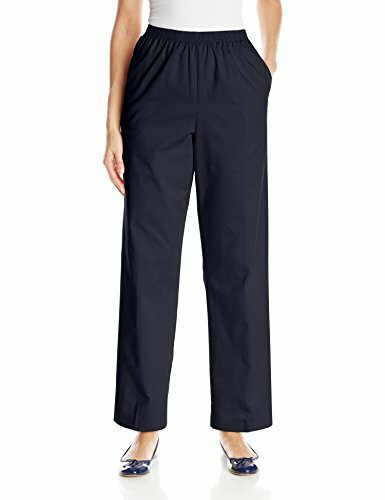 * 100% polyester * Easy-care fabric* Holds its shape, resists wrinkles* Gentle stretch-elastic waistband stays put* Practical pockets* Imported * Machine wash and dry* Sizes: Misses 8-20; Women's 16W-24W; Petites 8P-18P* Approx. 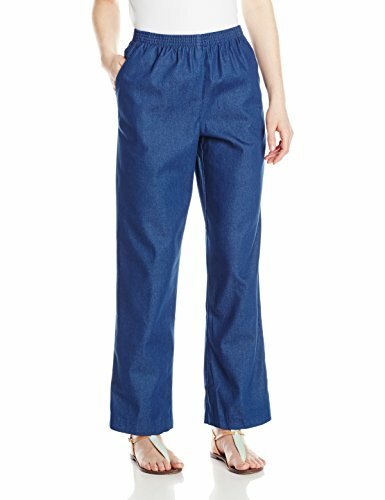 lengths: Misses 30"; Women's 30"; Petites 28"
This solid pant by Alfred Dunner is casual enough to wear while you're running errands, yet formal enough for a business casual environment when paired with a nice blouse or blazer.